© Erica Ladd and The Candid Teacher, 2013 Unauthorized use and/or duplication of this material without express and written permission from this blog’s author and/or owner is strictly prohibited. Excerpts and links may be used, provided that full and clear credit is given to Erica Ladd and The Candid Teacher with appropriate and specific direction to the original content. I am an elementary school teacher with experience in diverse classroom settings in Wisconsin and Arizona. 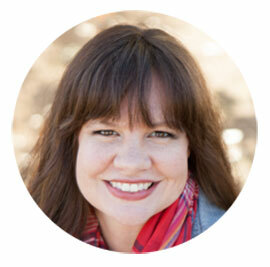 I am a writer with a passion for telling real stories to help families and schools work together in real ways. I have been a teacher for over eight years, and have always felt that school should come with a guide book for parents. So, I wrote one! I’ve set out to create a behind the scenes look at the world past the classroom door. 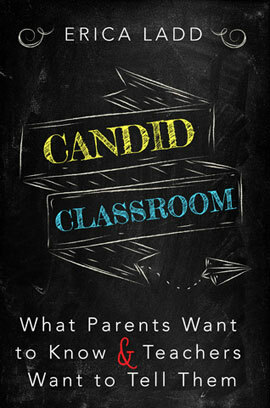 The result is Candid Classroom: What Parents Want to Know & Teachers Want to Tell Them. This book is an honest, often humorous peek at those things that are not typically covered during parent-teacher conferences. It’s about what teachers desperately want to sit down and discuss with parents over coffee, the things we tell our sisters and friends as they send their little ones off to kindergarten. It’s a real conversation about the things teachers wish parents knew. I am a teacher and Midwesterner turned desert dweller and writer. Originally from Wisconsin, I now live with my husband and two dogs in Arizona, where we moved on a whim and the need for an adventure. I also write at my personal blog LADDventure, which started as a way to document our journey west, but has evolved into writing about generally living life with adventurous intention. Welcome! If you're new to The Candid Teacher start here for a little more on what we're all about.